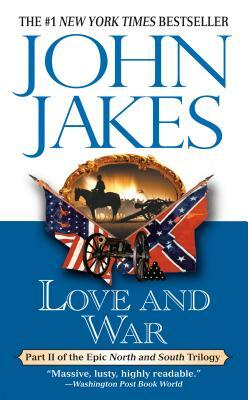 #1 New York Times bestselling author John Jakes presents part two of the epic North and South Trilogy—the Civil War saga that inspired the classic television miniseries North and South—with over five million copies sold! From the first shots at Fort Sumter, the Hazards and the Mains are divided against each other—and themselves. Some will experience the horrors of war on the front lines on some of the bloodiest battlefields of the Civil War. Some will give their lives for their beliefs. But all will be caught in the triumph and tragedy of a conflict that destroyed a country’s innocence—and forged a nation.